Our team is proud to support Pink Shirt Day and take a stand against bullying. Kindness is universal – a trait we encourage everyone to openly express every day. The phrase “Make Nice,” acts as a friendly reminder that no matter what our differences, kindness is always a choice worth making. 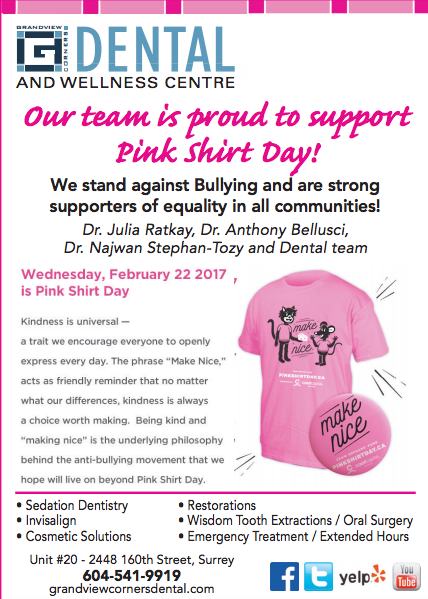 Being kind and “Making Nice” is the underlying philosophy behind the anti-bullying movement that we hope will live on beyond Pink Shirt Day. Thank You To The Kids At Morgan Elementary For Our Newspaper Ad! Mar 30, 2016 // by Grandview Corners // Blog // Comments Off on Thank You To The Kids At Morgan Elementary For Our Newspaper Ad! 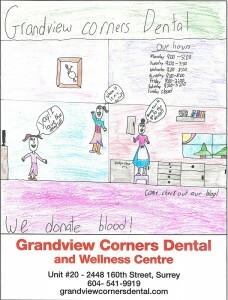 Thank you to all the kids at Morgan Elementary for helping us to design our newspaper ad. Your designs and drawings were wonderful, and we were blown away with your talent. Check out the ads below to see our winner and runner-ups. Selecting a winner was a tough decision since we had so many awesome submissions. Thank you to everyone who participated! 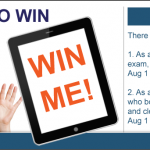 We are proud to announce that we have a winner in our iPad mini contest. 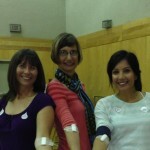 Recently members of our staff donated blood at a mobile blood donation clinic in Cloverdale (put on by Canadian Blood Services). If you’ve never donated blood before, you may be wondering what the whole process entails. Now you’ll learn why donating blood is so important, how you can participate, and what to expect on the day of your first blood donation. Blood transfusions are used to save the lives of people who have lost too much of their own blood or who have conditions such as sickle cell disease. According to the World Health Organization, millions of patients worldwide still cannot get timely access to safe blood transfusions. Perhaps if blood could be synthesized in a lab, this problem would not exist, but medical science has not yet figured out a way to create blood. 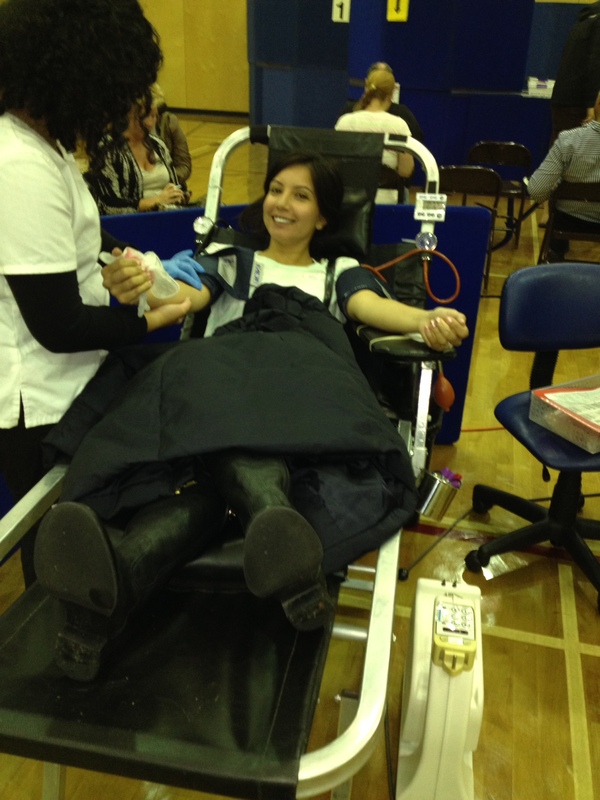 This means that every ounce of blood used in transfusions must be donated. It’s easy to register to give blood. 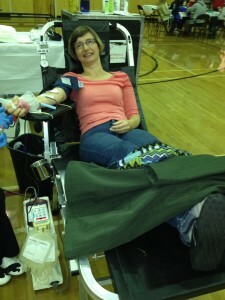 Blood donations are accepted throughout the entire year. The Red Cross organizes periodic blood drives, so you can simply sign up when you are asked. Or, contact the Red Cross to find a donation center near your location. You can also ask your workplace to sponsor a blood drive. When you arrive at the blood donation site, you will need to answer some questions. Your answers to the questions determine your eligibility to give blood. For example, if you have traveled in certain countries during specific time periods, you may not be allowed to give blood. not anemic. If your hemoglobin count is lower than 12.4 grams per deciliter, you cannot donate blood (which is why it’s so important to eat high-iron foods). Once your eligibility has been established, the blood will be drawn. A sterilized hypodermic needle will be inserted into your vein, usually in your arm. The procedure takes about 15 minutes. If you feel a bit queasy, take some deep breaths. Most people find that it helps to avoid looking at the needle. 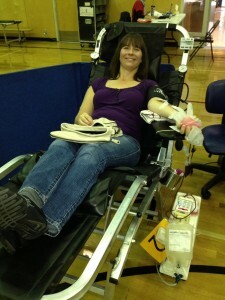 After you’ve donated blood, sit still or lie down for about 10 or 15 minutes. Drink a full glass of water and have something to eat. Make sure you do not need to drive anywhere, and plan to spend the rest of the day doing sedentary activities. Avoid lifting weights or any kind of strenuous exercise. Do take a short walk later in the day if you’re feeling up to it, as light exercise can help to stabilize your blood sugar levels. The day after donating blood, your energy levels will be back to normal. If you took the proper precautions, you will not experience any noticeable bruising or other side effects. Sponsor Grandview Corners Dental’s Plaque Attackers at the Great Pumpkin Run! Oct 19, 2012 // by Grandview Corners // Blog // Comments Off on Sponsor Grandview Corners Dental’s Plaque Attackers at the Great Pumpkin Run! 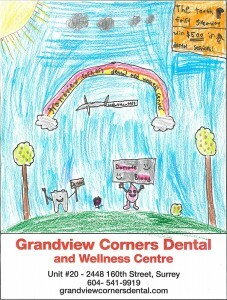 Join Grandview Corners Dental on Sunday, October 21 for the Great Pumpkin Run/Walk in beautiful White Rock! 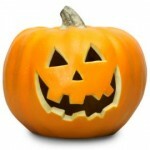 The Great Pumpkin Run is a fundraising event for the Peace Arch Hospital Emergency Room. 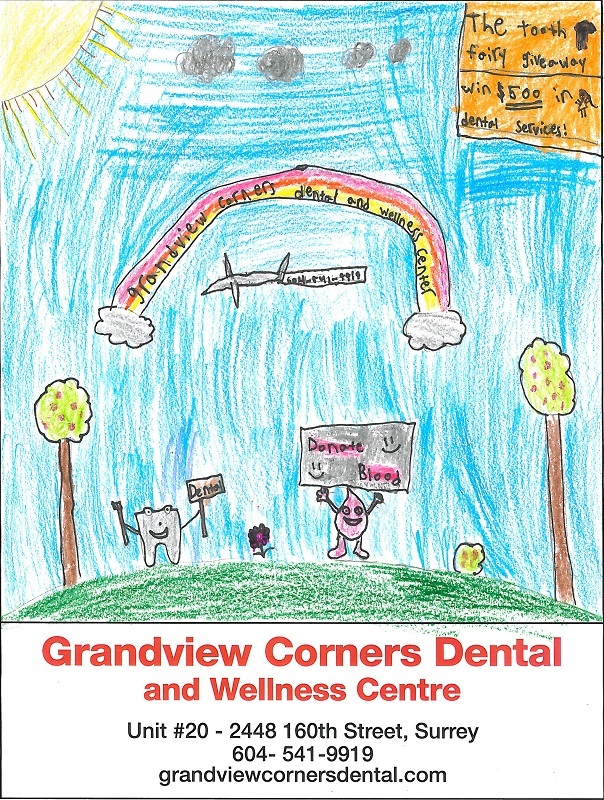 Grandview Corners Dental and Wellness Centre is sponsoring the event with a donation of $500 and on-site booth where Run/Walk participants and supporters can receive free 123Dentist.com tote bags and dental goodies. Spot the 123Dentist.com Community Cruiser and come and say hello! If you would like to sponsor our team, the 123 Dentist – Plaque Attackers, and help us meet our fundraising goals, please click here to find our official Great Pumpkin Run/Walk page. 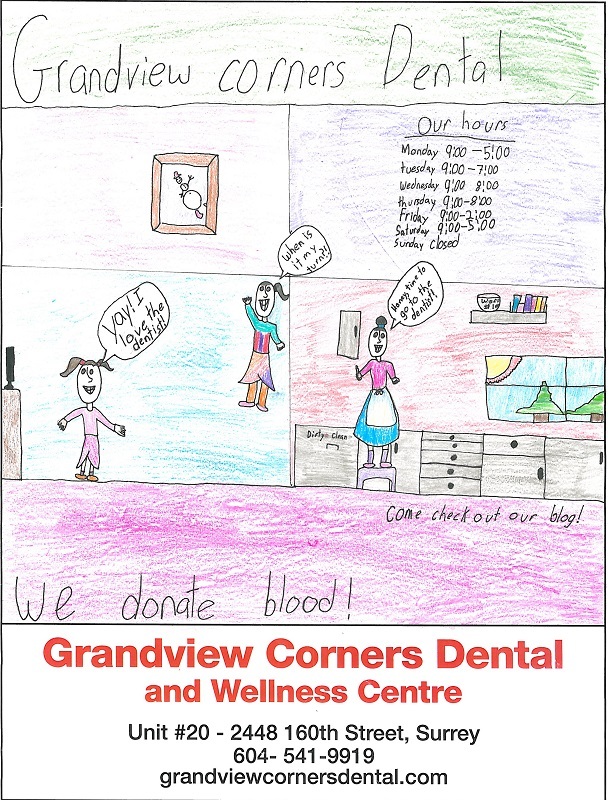 At Grandview Corners Dental & Wellness Centre we strongly believe in maintaining a friendly, team environment for all of our staff. 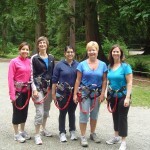 Recently, our dental team spent the day at Wild Play Maple Ridge and had an absolute blast! Wild Play allowed us to get outdoors and embrace our fears by maneouvering through a series of suspended obstacle games across four Course Sections of ladders, cargo nets, rope swings, tightropes, swinging logs, and wobbly bridges. All this took place at heights that reached up to 60 feet above ground! Dental professionals recommend avoiding any sugary snacks because sugar feeds the bacteria in the mouth and causes cavities. If you have any questions about which snacks are appropriate and which aren’t, or if you would like to book an appointment at Grandview Corners Dental, your Surrey dentist, to learn more about preventing cavities, please click here. 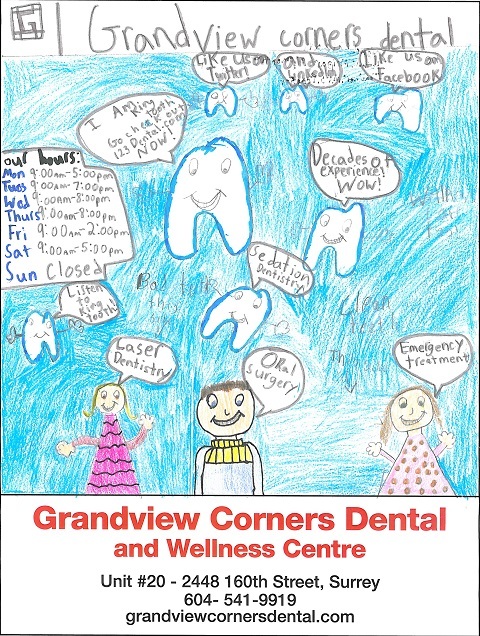 Subscribe to Grandview Corners Dental’s blog for more dental secrets and contact us today to take care of your oral health care. We’re social, too! Follow us on Facebook, Twitter and YouTube. 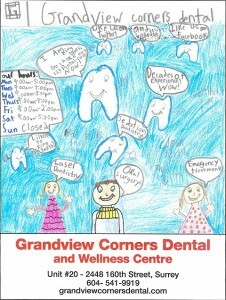 Jun 21, 2012 // by Grandview Corners // Blog // Comments Off on Get Rid of Your Toothache, Fast! If you’re suffering from a toothache, contact Grandview Corners Dental, your Surrey dentist, as soon as possible – your tooth may be abscessed and require emergency dental care. Come in to our Surrey dental clinic to avoid complications such as surgery or a tooth extraction if you experience any type of toothache. The good news is, there are some tried and true toothache pain relief methods and here they are, brought to you by the caring team of oral health care experts at Grandview Corners Dental. However, remember that any toothache is a bad toothache so contact Grandview Corners Dental, your Surrey dentist, for an appointment as soon as possible. 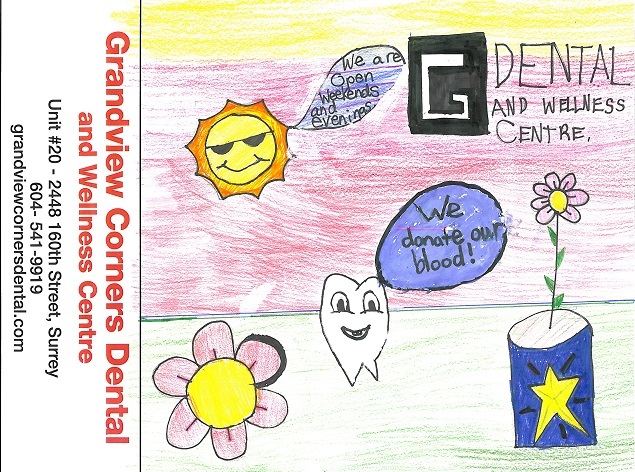 Subscribe to the Grandview Corners Dental Blog for more secrets straight from your dentist. We’re social, too! Follow us on Facebook, Twitter and YouTube. 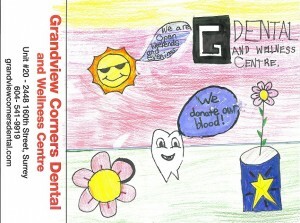 Jun 14, 2012 // by Grandview Corners // Blog // Comments Off on Dry Mouth? Here’s What You Can Do! If you suffer from dry mouth – especially in the summer – your dentist at Grandview Corners Dental and Wellness Centre in Surrey has some valuable tips on what you can do to relieve your dry mouth symptoms and enjoy yourself, whatever the season! Dry mouth can increase your chances of gum disease, tooth decay and mouth infections so if you find that your dry mouth persists, contact Grandview Corners Dental, your Surrey Dentist as soon as possible.